Over the years, Soan Papdi has become an important part of Diwali. In fact, Diwali sort of feels incomplete if you do not receive at least one box of Soan Papdi. It is now a one of the staple sweets that is gifted on Diwali. 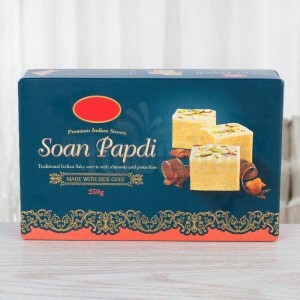 So when it is time to gift your loved ones, how can you forget soan papdi? Another sweet which is quite popular on Diwali is Kaju Katli. Its soft texture and crispy taste are what make it a delightful treat. It is practically impossible to eat just one piece of kaju katli. You would always want “one more” piece. And so will your loved one. 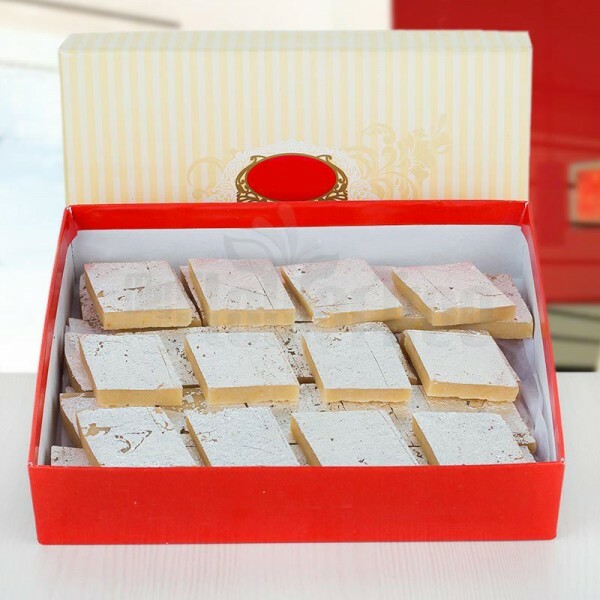 If you think Soan Papdi is too common and want to go for something less popular yet favorite of all, then kaju katli should be your choice. If Soan Papdi is the staple sweet of Diwali, then Rasgulla is a staple sweet for all the other festivals. There is no festival in India that can be celebrated without rasgullas. It’s not just their soft texture that makes them great, but also their sweet chaashni that dissolves gradually in the mouth. 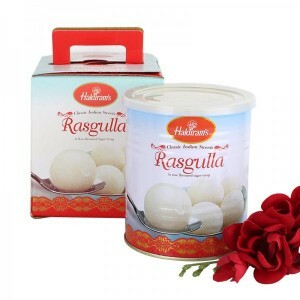 So yes, if you would like a sweet that they would absolutely love, a box of rasgulla would be the perfect choice. Diwali is a day to spread happiness. And one way to do it is by giving sweets as a gift. With the onset of age of internet you do not even have to struggle at a sweets shop to buy sweets, you can simply order these Diwali gifts online and have it delivered to your home.